Prafull serves as the Managing Director & Vice President International Production at Stereo D, Pune, India. In his role, he oversees operation of the Pune facility including Production, Sales & Marketing, Administration, HR, Finance and Production Technology Department. Prafull joined Stereo D in 2011 and and has led the Pune studio during it’s growth to become the largest producer of digital 3D for film in India. Prafull has over 28 years of professional experience in Indian animation/vfx industry. Prior to joining Stereo D, he served as COO of Escotoonz Entertainment and as Vice-President, 3D Operations for Reliance’s Big Animation. A Fine Arts graduate from Nagpur University, Prafull’s creative work has includes classical 2D-to-CGI 3D, large-screen motion pictures, small screen ad/corporate films and multimedia-to-internet. He has credits on over 1000 commercials, VFX for more than 40 motion pictures, 26 2D/3D animated series, televsion features and many corporate films & multimedia products. 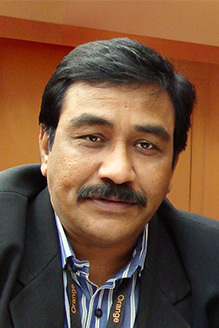 Prafull’s directorial debut was 1987’s “Gavaskar Cricket Techniques”, a TV series, based on Indian Cricket legend Sunil Gavaskar. Prafull has served as a Jury member for FICCI and for the BAF VFX Awards.